Kingdom Magic Travel – Plan Your Trip! I had intended to write a post today about Babycakes and some other culinary delights of Downtown Disney, but in light of the horrific news out of Boston today it hardly seems an appropriate time. Our deepest thoughts and sympathies to those affected. I feel the same way. Thank you for showing such respect . SUBSCRIBE TO OUR SHOW IN ITUNES! JOIN OUR COMMUNITY!! Subscribe to the Blog and Show by EMAIL! Why would you ever want to miss the FUN?? Join our Disney Community! Enter your email address to SUBSCRIBE to this blog! DON'T MISS A THING!! 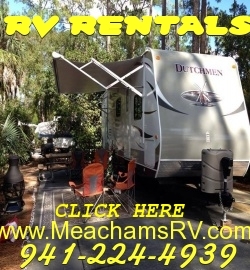 For a GREAT Camping Experience in Fort Wilderness Resort and Campground Call Our Sponsors at Meacham’s RV! Episode 65 - The Big Bright Beautiful Tomorrow! Did you know you can write your own about section just like this one? It's really easy. Head into the the Titan Options menu and check out the footer section. Type some stuff in the box, click save, and your new about section shows up in the footer. Wondering about those Flickr photos on the right? We didn't take them, they are a random sampling of the most popular photos on Flickr with the tag 'nature'. All rights are reserved to the original copyright holders where applicable. A longtime WDW fan, I made my first trip as a small child less than 2 months after it opened. Since then, it's been a yearly or more pilgrimage and I haven't got tired of it yet!